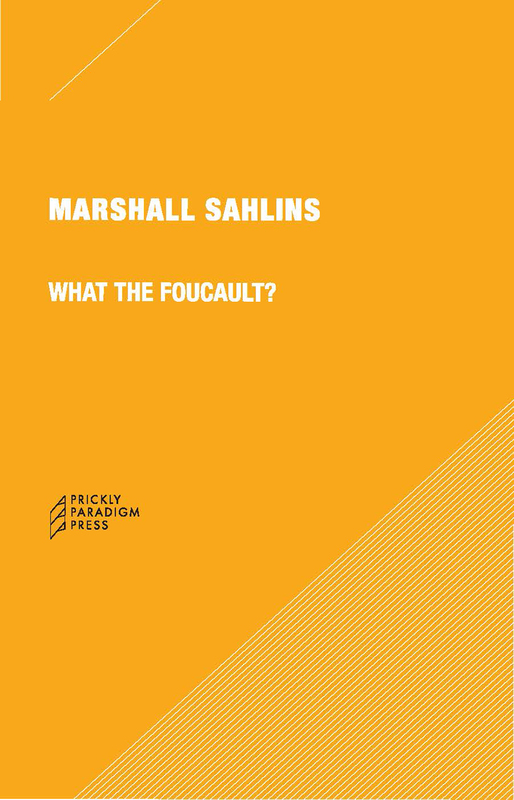 This is the long-awaited fifth edition of Marshall Sahlins’ classic series of bon mots, ruminations, and musings on the ancients, anthropology, and much else in between. It’s been twenty-five years since Sahlins first devised some after-dinner entertainment at a decennial meeting of the Association of Social Anthropologists in Great Britain, published soon thereafter by Prickly Paradigm’s first incarnation, Prickly Pear. What the Foucault? contains all the old chestnuts, but has been thoroughly updated, and is laced through with all the wit and wisdom we’ve come to expect.